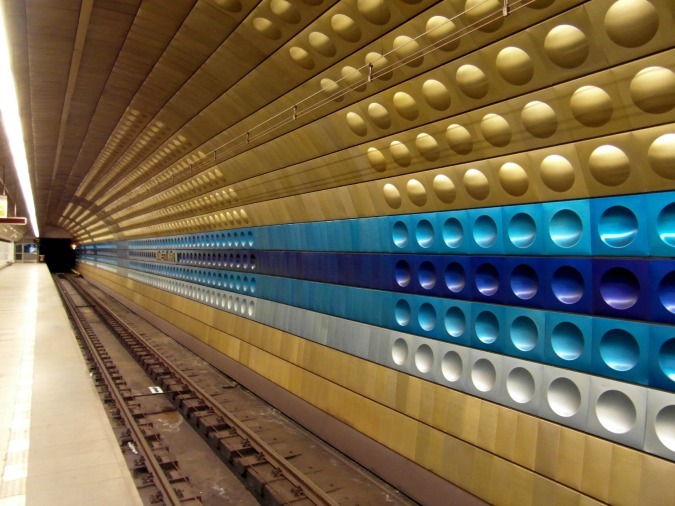 The Soviet-influenced Prague metro system, built in the 1970s, features some of the most eye-popping station colors in the world particularly appreciated by fans of geometric modern design. If you’ve ever wondered how some of those bold shades were chosen, wonder no longer. 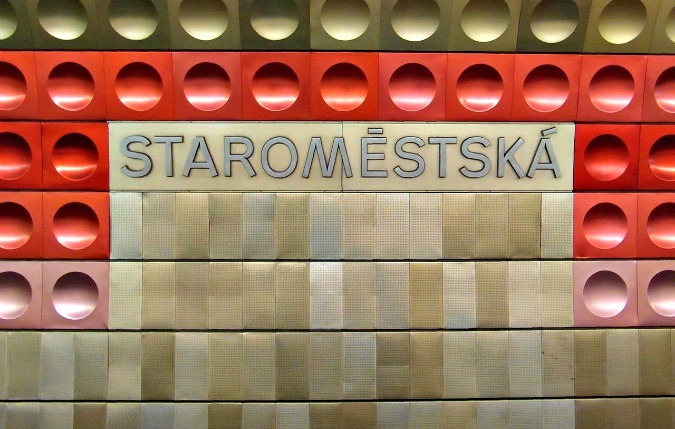 The Prague Public Transit Company (DPP) has revealed some interesting facts about the original stations of its Metro Line A, the colors of which were not entirely chosen at random. In fact, most of the initial seven stations that were built on the A line—Leninova (now Dejvická), Hradčanská, Malostranská, Staroměstská, Můstek, Muzeum (transfer station with line C) and Náměstí míru—have a story behind their signature hue. •The golden sheen of the Hradčanská station symbolizes Prague Castle. •The brilliant green of Malostranská represents the surrounding royal gardens. •The blood red of Staroměstská refers to the murders of the 27 Czech noblemen in the Estates Uprising of 1621. •The utilitarian brown of the Muzeum station signifies the fortified walls that once stood here. •The tranquil blue at Náměstí Míru (Peace Square) is said to be the color of peace. •The rich reddish-purple of Flora is meant to echo the vineyards of Vinohrady. Prague’s Metro Line A first opened in 1978 and expanded during the 1980s. DPP will commemorate its 39th anniversary this Saturday, August 12 by operating a Soviet-style metro carriage from the era, complete with costumed drivers, on the line from 10:15am-3pm (any passenger lucky enough to be traveling via metro during that time slot will be able to enjoy a historic ride).